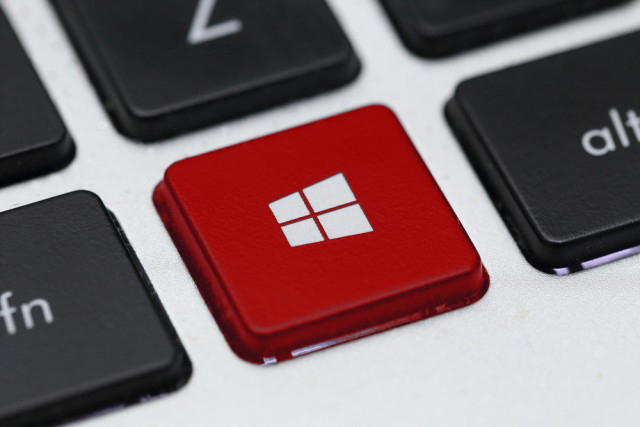 While work is continuing apace to polish up the Windows 10 October 2018 Update prior to its release next month, Microsoft is also hard at work on the following feature update due next spring. Today the software giant releases Build 18234 for that update to Insiders in the Skip Ahead ring, and it offers a large number of new features and improvements. Capture your tasks naturally by writing directly on the list’s surface. Complete your tasks by striking through them. Use check-marks within the circle to the left of a task to complete it. An update to Sticky Notes was rolled out to Skip Ahead users last week, and you’ll be able to try it in this new build, as well as Snip & Sketch (previously Screen Sketch). The dark theme File Explorer payload mentioned here is included in this build. Microsoft is taking its work on XAML shadows offline for the moment while it works on addressing some things. You will also notice that the acrylic has been removed from some popup controls. They will be back in a future flight. Fixed an issue resulting in the taskbar flyouts (network, volume, etc) no longer having an acrylic background. Fixed an issue resulting in hangs when using WSL in the previous flight. Fixed an issue where the app icons in Task View might appear slightly blurry on high DPI devices. Fixed an issue where on narrow devices activities in Timeline might slightly overlap the scrollbar. Fixed issue where Taskbar background could become transparent when changing graphics device. Fixed an issue resulting in pinning to app icons to the taskbar taking longer than usual recently. Fixed an issue resulting in New button in Snip & Sketch not working. Fixed an issue resulting in Notepad’s "Search with Bing" feature searching for "10 10" instead of "10 + 10" if that was the search query. Fixed an issue where accented characters would end up as question marks in the resulting search. Fixed an issue where clicking the "more" button in Microsoft Edge’s inline definition pop up when reading in recent flights would open a blank pane. Fixed an issue impacting Teams resulting all unsent typed text disappearing following the completion of an emoji composition (for example being turned into a smiley). Fixed an issue in recent flights where components of a notification with a progress bar (like the one when using nearby sharing) might flash every time the progress bar updated. Fixed an issue resulting in a decrease in Start reliability over the last few flights. Fixed an issue where right-clicking the desktop and expanding the New subsection of the context menu took longer than usual recently. Fixed the issue causing Office in the Store to fail to launch with an error about a .dll not being designed to run on Windows on PCs running in S Mode. Fixed an issue where, when installing a font for a single user (rather than installing as admin "for all users"), the install would fail with an unexpected error saying that the file was not a valid font file. Fixed an issue where non-admin local users would get an error saying that updating the security questions for their account required admin permissions. Fixed a recent issue that could result in some flakey network connectivity (including networks stuck "identifying", and stale network flyout connectivity state). Note, there are a variety of factors that may impact your networking experience, so if you continue to experience flakiness after upgrading to this build, please log feedback. Performance visualizations added to the game bar with Build 17692 are being taken them offline for now to re-evaluate the best possible approach going forward and work on giving you a great gaming experience on your PC. This build fixes a general issue resulting in links that launched one app from another app not working in the last flights for some Insiders, however there’s one specific variant of this that will still not work in today’s build: Clicking on web links in PWAs such as Twitter doesn’t open the browser. You may notice the background of notifications and the Action Center lose color and become transparent (with an acrylic effect).